The 8th International Conference on Engineering Mathematics and Physics will be held in Ningbo, China on July 1-3, 2019. It is an annual research conference aims to provide a platform for the scientists, scholars, engineers and students from the Universities all around the world and the industry to present ongoing research activities. 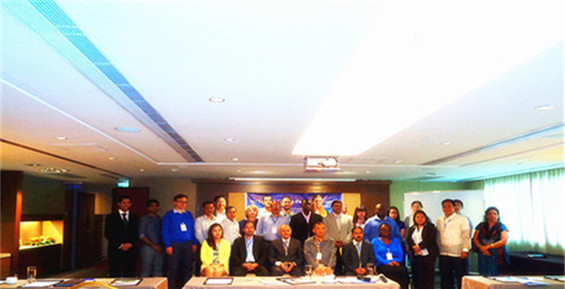 The past 7 ICEMP conferences were held in Bangalore (India), Colombo (Sri Lanka), Hong Kong, Kuala Lumpur (Malaysia), and Dubai (UAE), Cape Town (South Africa) and Prague (Czech Republic) respectively. 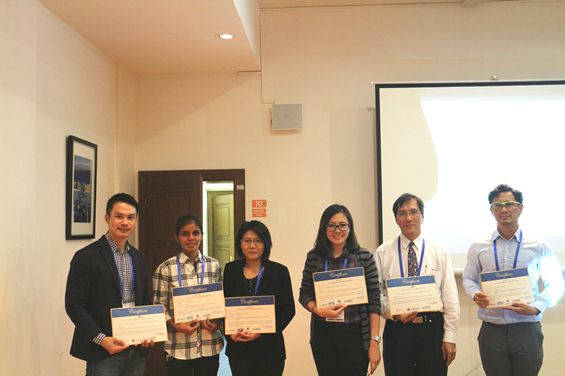 ICEMP 2019 is sponsored by Ningbo University, China and technically assisted by Abu Dhabi University, UAE and Universiti MalaysiaTerengganu, Malaysia. Accepted and registered papers will be collected in the conference proceedings, which is indexed in Scopus (Elsevier), Ei Compendex, Google Scholar, CAS, Inspec, DOAJ, Web of Science, etc. main databases. ICEMP 2019 will bring together leading engineers and scientists in Engineering Mathematics and Physics from around the world. April 3, 2019 News! Upon requests from authors, the submission deadline extended to May 5. February 17, 2019 News! The final round of call for paper starts today and will end on April 1st. November 15, 2018 News! The invited speakers are announced. November 8, 2018 News! The proceedings of ICEMP 2018 indexed by Ei Compendex and Scopus. October 16, 2018 News! The conference dates are changed to July 1-3, 2019. August 28, 2018 News! ICEMP 2019 will be held in Ningbo, China on June 28-30, 2019. July 5, 2018 News! Thanks to all participants, reviewers, chairs, and committee members in ICEMP 2018. We look forward to seeing you in 2019! June 20, 2018 News! 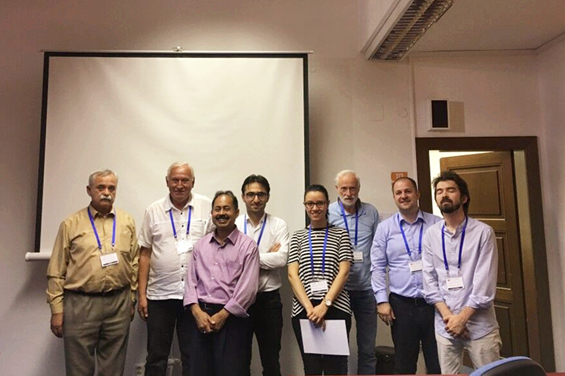 ICEMP 2018 was held in Prague successfully, and the photos are updated. April 27, 2018 News! Prof. Yuri Skiba and Asst. 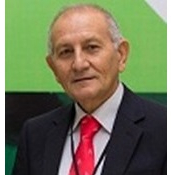 Prof. Mustafa Elsayed joined in technical committee. April 10, 2018 News! 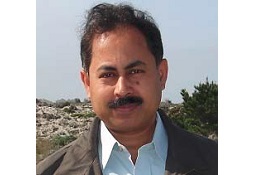 Dr. Manoj Sahni joins in technical committee. March 26, 2018 News! Upon requests from authors, the submission deadline extended to April 25. February 11, 2018 News! The final round of call for paper starts today and will end on March 25. January 7, 2018 News! Dr. Grzegorz Ilewicz joins in the technical committee. October 30, 2017 News! Prof. Jan Bergstra will deliver a keynote speech in the conference. October 24, 2017 News! Prof. Rodica Luca Tudorache confirmed to deliver a speech in the conference. October 24, 2017 News! Prof. Heinrich Begehr confirmed to deliver a keynote speech in the conference. September 6, 2017 News! ICEMP 2018 website is updated already. August 14, 2017 News! The 7th International Conference on Engineering Mathematics and Physics will be held in Prague, Czech Republic on June 15-18, 2018. Haydar Akca graduated in Mathematics and Astronomy from Ege University, Faculty of Science, Izmir, Turkey in 1970. Dr. Akca received Ph. D. in Applied Mathematics from Inonu University, Malatya with collaboration Helsinki University of Technology in 1983. Since then, he has been teaching in various universities. He becomes Professor in Applied Mathematics at Akdeniz University, Antalya in 1996. 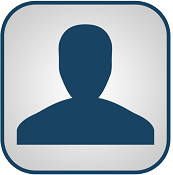 He has around 100 technical publications including monographs. His research interest area primarily functional differential equations, neural networks, mathematical modelling, control theory, and wavelet neural networks. He has been organizing the serial International Conference on Dynamical Systems and Applications. Dr. Akca is a member of a number of professional mathematical associations. He is the Editor –in-Chief and Editorial Board Member of number of International Mathematical Journals. At present he is Professor of Applied Mathematics at Abu Dhabi University, College of Arts and Science Department of Applied Sciences and Mathematics, Abu Dhabi, United Arab Emirates. Bimal Kumar Sarkar graduated in physics at Jadavpur University, India and Electrical Engineering at Institute of Engineers (India). He did his Ph.D. form Indian Association for the Cultivation of Science, India. He pursued postdoctoral fellowship at the Department of Chemistry, National Sun Yat-sen University, Taiwan. Afterward he visited in research positions at NSYSU, Taiwan, UCLA, USA, Max Planck Institute, Germany, Czech Technical University, Slovak Technical University. At present, he is Professor in Physics and Dean at Adamas University, Kolkata, West Bengal, India with activity in research and teaching. He is involved in the field of Computational Physics. In October 2018, he had 113 articles published in international peer reviewed journals and conference proceedings. Full paper submission is compulsory for publication. Papers should be at least 4 pages, including figures, tables, and references. When a paper exceeds 5 pages, extra pages will be chargeable. Submissions that are identical (or substantially similar) to versions that have been previously published, or accepted for publication, or that have been submitted in parallel to other conferences or journals are not appropriate for ICEMP and violate our dual submission policy. Multiple submissions with an excessive amount of overlap in their text or technical content are not acceptable. The technical committee reserves the right to immediately reject all submissions which they deem to be excessively similar and by the same authors. Your registration will be confirmed by icemp.org@vip.163.com when it's successful; if you fail to receive any feedback, please contact us. * The full version is to be available at the end of May, and the below schedule at a glance is given for your reference. Hong Kong is a good place to pick up a China visa. However, at the time of writing only Hong Kong residents were able to obtain them direct from the Visa Office of the People’s Republic of China. Single-entry visas processed here cost HK$200, double-entry visas HK$300, while six-month/one-year multiple-entry visas are HK$500. But China Travel Service (CTS) and many travel agencies in Hong Kong can get you a visa in two to three working days. Expect to pay HK$650 for a single-entry visa and HK$750 for a double-entry. Both American and UK passport holders must pay considerably more for their visas. Be aware that political events can suddenly make visas more difficult to procure or renew. Please be kindly noted that the organizing committee is not authorized to assist with the VISA process beyond providing the Invitation Letter. The invitation letter of conference organizing committee cannot guarantee the approval of visa application. Should your application be denied, the organizing committee of the conference cannot change the decision of the Ministry of Foreign Affairs, nor will the organizing committee engage in discussion or correspondence with the consulate or the visa center on behalf of the applicant. Lishe Airport is about 11 kilometers (7 mi) from downtown Ningbo, about a 20-minute drive. The taxi fare should be ¥45-60. Alternatively, a shuttle bus to South Ningbo Railway Station runs every hour until 18:00 (¥10). Local bus service is also available (¥2). There are regular flights to Beijing, Guangzhou, Shenyang, Xi'an, Xiamen, Nanchang, Haikou, Shantou, Shenzhen, Changsha, Nanjing, Kunming, Chengdu, Lanzhou, Zhuhai, Hefei, Guilin, Chongqing, Dalian, Qingdao, Wuhan, Fuzhou, Harbin, and Urumqi in Mainland China; Macao and Hong Kong; Kaohsiung on Taiwan; Fukuoka in Japan; Incheon in South Korea; and Bangkok in Thailand. Centrally located with downtown hotels a short taxi ride away. Metro Line 2 serves the station. Taxis are not permitted to pick up new fares in the drop-off area outside the station, but are usually readily available at a queue in the basement. The ticket offices are open from 06:15-19:45 to the left of the main entrance. Tickets can be purchased on the first or second floor; tickets which have been booked online may only be picked up at the office on the second floor. Many high-speed trains (Gaotie or "G" trains) are available daily from Hangzhou East Railway Station. These take about 1 hour and cost ¥80-100. There are another 10 or so normal trains from Hangzhou's City Station (城站) which are cheaper but average slightly longer travel times. All trains from Shanghai to Ningbo go through Hangzhou. High speed trains are available from Shanghai Hongqiao Railway Station (上海虹桥站). These take 2-3 hours and cost between ¥100-150. Normal trains are available from Hongqiao Station or from Shanghai South Railway Station (上海南站). These take 4-5 hours and cost around ¥50. Downtown Ningbo can fill a few days but is similar to most major Chinese cities. To see some really jaw-dropping parts, you have to get out to the suburbs and countryside, where you will meet the kindest of people with the warmest of smiles and breathtaking mountain ranges steeped in thousands of years of history that has been relatively undisturbed. Ningbo Rail Transit operates Lines 1 and 2, the former having stations which service the airport and railway station. Plans call for an additional four lines by 2020, of which Line 4 will service East Railway Station. Taxis are ¥10 for the first 3.5 km. Be aware that a ¥1 "fuel tax" is added to the fare in addition to the price displayed by the meter. As is common throughout China, you should expect no comprehension of English from the driver. Print the addresses in Chinese in advance will be helpful. Busses are usually ¥2, although some older lines without air-conditioning cost ¥1 and some longer lines charge according to distance. Stops are not displayed or announced in English. Bike sharing is prevalent. Users will need to install the particular smartphone app specific to the company to rent a bike. Prices are around ¥2 for 30 minutes. Commercial St 城 隍庙商业步行街 (Close to Chenghuang Temple). Tianfeng Tower was originally built during the Tang Dynasty (695-696) then rebuilt during the Song Dynasty (1144). Tianfeng Ta has seven “obvious” stories and seven “hidden” stories, with four more reportedly buried underground. (Bus Route: 332). 08:30-16:30. Baoguo Temple is seated on the mountainside of Lingshan Mountain, about 15 km (9 mi) away from downtown. As a cultural relic spot under state-level protection, it was initially established in the Eastern Han Dynasty (25-220) and rebuilt and expanded in later dynasties. The present Baoguo Temple is a mixture of constructions made by various dynasties. ¥12. (bus 759 or 790 from Ningbo East Bus Station) Legend says the Sheli Pagoda here wasn't built, but rose from the ground. This active monastery 20 km (12 mi) from Ningbo houses a bone fragment of Sakyamuni, Buddhism's founder, as well as artifacts, paintings and calligraphy - some personally written by Chinese emperors. Legend has it that the monk who found it was looking for one of the many Sheli pagodas that the Indian ruler Ayuwang (Ashoka) had established throughout the world. The monk was walking in the area and heard a bell ringing from underground. He sat down and prayed for three days and three nights, at which point the pagoda came surging up from beneath the ground. A temple was eventually completed on the site in 522 and named. (Bus 333 from Ningbo, 06:00-17:00). 08:00-17:00. In the outer district of Yuyao about 90 minutes by road from down town Ningbo in the flourishing countryside. Hemudu has a small but good museum with signs in English. Displayed are a still playable 6-7,000-year-old bone flute, rice, plough shares, weaving, inlaid-bone and wood carvings, and jade ornaments. ¥25, student ¥13. (bus 162 from Ningbo East Bus Station) Located in Taibai Mountains, 25 km (16 mi) from Ningbo City proper, the Tiantong National Forest Park covers an area of 334 hectares, with green peaks rising one higher than the other. The park is home to nearly 1,000 species of plants, including a large number of fine tree species, such as Henry emmenopterys, ginkgo trees, Henry ormosias and Tianmu Mountain lily magnolias, in addition to some rare medicinal herbs, such as five-leaf gynostemmas, glabrons sarcandras, fortune plumyews, many-leaf paris and diverse leaf jack in the pulpits. A total of 119 Chinese herbal medicines found here are included in the China Pharmacopoeia. For this reason it bears the name "natural botanical garden in east Zhejiang Province. Nanxi Hot Spring lies in in the outer district of Ninghai, Nanxi Village of Shentianchuan Township, 76 km (47 mi) to the downtown of Ninghai County. With a forest resource of 9,627 hectares or 9,627 mu, the scenic area was approved by the State Department of Forestry in 1991 as a national forest park, and thus it became one of the ten best scenic spots in Ningbo. As a well-known hot-spring resort in Zhejiang, the park is featured in its peaceful mountains, clear waters and dense forests. 315-606 China Ninghai County Baixi Village, Chakou Town. Huge sweeping views of lush green countryside, water runs through the canyon as you follow a rough and ready trail.